It’s that time of year again when the sweet days of summer come to an end and its back to school again! It can be stressful making the switch from a laidback summer to the hectic school schedules, homework and routines; a challenge for both children and parents. While it’s common to feel a little sad when summer’s ending, the transition doesn’t have to be difficult. The stress that comes with the start of the school year is normal, but feeling prepared is half the battle. As parents we all want the best for our kids and we want to keep them safe in this advanced culture they’re growing up in. A great place to start is by teaching your kid to be kind. 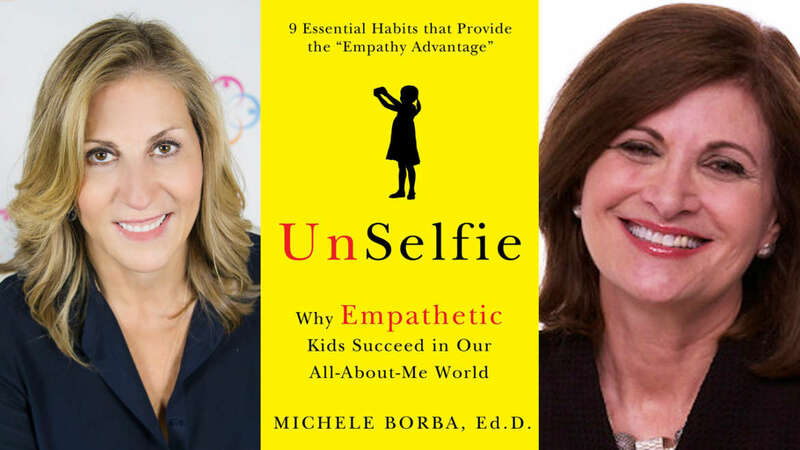 In a recent interview with Dr. Michele Borba, parenting expert and author of Unselfie: Why Empathetic Kids Succeed in Our All-About-Me World, she told me how to do just that. We talked about everything from ways parents can raise more empathetic kids to bully prevention–what parents, schools and communities can do to create a healthier and happier learning environment. Does your child fall under the “selfie” or “unselfie” category?